Sharon Osbourne serves as host of The Talk, CBS's Daytime Emmy Award-winning talk show that examines topical events and contemporary issues. She hosts the show with Eve, Sara Gilbert, and Sheryl Underwood. In addition, Osbourne has returned to her role as a judge on the UK version of The X Factor, alongside Simon Cowell, Nicole Scherzinger, and Louis Walsh. Osbourne's career in the music industry has spanned more than 30 years. In addition to managing the career of her husband, she has managed numerous artists such as Black Sabbath, Electric Light Orchestra, Smashing Pumpkins, Motorhead, and Slade. In 1996 Osbourne created and produced Ozzfest, the biggest hard rock touring festival in America. Osbourne's television career began when she created and produced the cable reality series, The Osbournes, which starred her husband Ozzy Osbourne and their children and won an Emmy Award for Best Reality Show in 2002. She then leveraged her lengthy professional career in the music industry to become a talent judge on the hit UK version of The X Factor for five seasons. Osbourne later served as a talent judge for five seasons on America's Got Talent. Also, Osbourne guest starred on CSI: Crime Scene Investigation and Disney's 7D. Additional television credits include a role as the voice of "Mama Hook" on the animated show Jake and the Neverland Pirates and hosting The American Music Awards. Osbourne is the author of four best-selling books, including Sharon Osbourne Extreme: My Autobiography. After beating colon cancer, she started the Sharon Osbourne Colon Cancer Foundation in association with Cedars Sinai Medical Center. She lives in Los Angeles with her husband Ozzy Osbourne and has three children. Her birth date is Oct. 9. 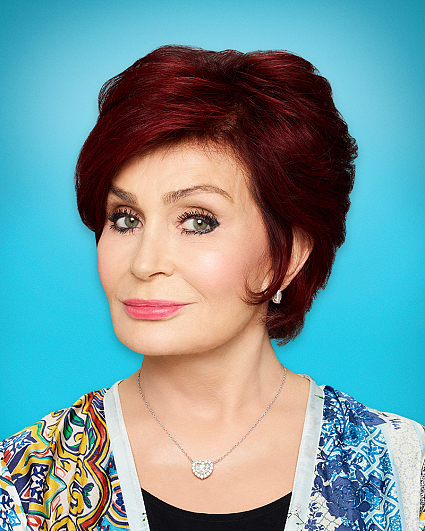 Follow Sharon on Twitter @MrsSOsbourne.